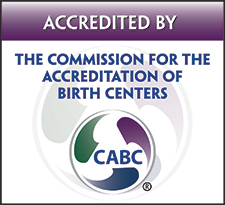 'Certified nurse-midwives are providers of primary health care of women and newborns. Care by nurse-midwives incorporates all of the essential factors of primary care and case management that include evaluation, assessment, treatment and referral as appropriate. The model of health care practiced by CNM's is focused on the care of women and newborns and emphasizes health promotion, education and disease prevention and sees the woman as central to the process of providing such care. Care by CNM's includes general healthcare, preconception counseling, care during pregnancy and childbirth, provision of gynecological and family planning services and care of the peri- and post-menopausal woman. With health education as a major focus, the goals are to prevent problems and assist women in developing and maintaining healthy habits. We are pleased to offer well-woman gynecology care, annual exams & PAPs, and family planning services with our CNMs. They offer individualized contraceptive counseling, helping each woman and couple find the right method for them. Are you planning to become pregnant in the near future? Congratulations on giving thought to this most important life decision. We would be happy to talk with you about ways you (and your partner) can enhance your health and prepare for the pregnancy. This can include nutritional counseling, reviewing supplements and medications, as well as discussing any concerns about your medical or family history. We can also provide information about your cycle and ways to monitor and enhance your fertility and likelihood of conception.